Bhopal tour for a full day! Sounds exciting! We make it a point that the tour experience is as exciting and relaxing as it sounds. Our package is dedicated to those who have ample time in hand to enjoy a trip within the stateThe service has been designed to suit a number of local tour purposes including sightseeing, attending meetings, shopping, seminars, visiting hospitals, and a lot more. If you don’t have enough time in hand, we will help you by offering our exclusively designed half day hire service. With this package, we successfully cater to local city tour needs of our clients within a specified time span. Some of the most popular services under this category include Airport Transfer in Bhopal, Car rental service for Marriage, party and event, Corporate Cab Rental in Bhopal, Railway Transfer, visiting hospitals and a lot more. If outstation travel packages are on your mind, reach us to get the most specialised one in minutes. The best part is that our offer is available online at highly affordable prices. Avail exclusive to ensure excellent trip experience with friends, best of excursions, enjoyable weekend getaways, and family leisure trip outside the city limits. The service is offered as an out and out to and fro taxi facility offered by our team to Bhopal visitors. It is accessible for various destinations from Bhopal. We ensure premium quality one way drop hire service to our clients to help them reach their desired destinations starting from Bhopal sans any hassles. If visiting multiple destinations from Bhopal is on your mind, we will help you enjoy this tour without having to face much hassle. The multi city tours have been planned for a fixed period time. 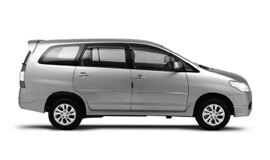 If you are not satisfied with any of the tour and taxi rental services we offer you, request our dedicated team to customise a rental package. This is a tour and taxi package designed just for you. Here, we, listen to your precise needs and budget before crafting a package for you. We guarantee the best car rental services in Bhopal at highly affordable prices. Summers are known to be quite hot and humid in Bhopal. This makes the temperature to rise to over 41° C. During the monsoon or rainy season, Bhopal gets southwestern monsoon rains. This occurs during the July-September period. Winter remains cool and pleasant. The temperature during this time varies from 10° C to 33° C.
As per official census report for the year 2011, Bhopal District has a population of 1,795,648 residents. Bhopal revenue mainly depends 1044 small- and medium-scale industries involved in a variety of production activities. Bharat Heavy Electricals Limited in Bhopal is the largest engineering and manufacturing enterprise in India. The major industries in the city include cloth weaving and painting, electrical goods, medicinal, making matches, chemicals, cotton, sealing wax, cotton and flour milling, sporting equipment, and jewellery. The city of Bhopal has a huge number of tourist places to visit. It is visited by thousands of tourists from all over the world every year. Some of the best attractions here include Bhimbetka which is home to over 500 caves depicting the lives of pre-historic cave dwellers, Bhojpur Bhojeshwar temple (Somnath of the East), Islam Nagar for Hindu and Islamic decorative art developed by Dost Mohammed Khan, an Afghan ruler, Samasgarh (hundreds of idols of Jain tearthankars), and Manua Bhan Ki Tekri, a Jain temple.